EOS is a smart contract cryptocurrency platform that has attracted attention for two claims: it seeks to completely eliminate transaction fees as well as allowing users to conduct millions of transactions per second. Launched in 2018, EOS is superficially similar to other smart contract platforms such as Ethereum and Ripple, but it promises to supersede them through the aforementioned features. The ultimate goal of EOS is to provide a platform that supports industrial-sized decentralized application hosting, decentralized enterprise storage solutions, and smart contract capability, combining existing smart contract functionality with cloud computing for an all-in-one technology solution. 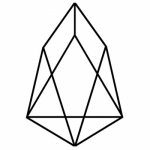 While EOS has technically not launched yet, it is currently possible to buy EOS tokens on the Ethereum blockchain, the sale of which will fund the launch of the EOS blockchain itself later in 2018. EOS’ developers are making bold claims, but they have shown themselves capable of backing those claims, making EOS a worthwhile investment for crypto investors interested in smart contract platforms. EOS is effectively positioning itself not merely as a cryptocurrency, but as a software development suite and content delivery system. EOS’ potential to host decentralized websites and applications as well as combat online censorship have made it a hot commodity among traders and a worthwhile investment. EOS cannot be mined due to the proof-of-stake system it will use to verify transactions. EOS represents a unique niche in the smart contract ecosystem: an all-in-one system for creating, hosting, and delivering Internet content. EOS makes it possible to host any kind of web content—from blog posts to videos to podcasts and music—in a decentralized form that is impossible to censor. This makes it a valuable commodity in an era in which social media and the Internet is increasingly centralized and censorship is arguably becoming a problem. Furthermore, EOS pledges to solve the problem of cryptocurrency scalability, which has dogged the growth of Bitcoin and other cryptocurrencies. By eliminating expensive fees and shortening transaction times, EOS could easily become as useful and indispensable as traditional financial systems. EOS’ one major problem is that a good deal of what it promises is just that: a promise. Because the EOS blockchain has not launched yet, there is no definite way of seeing how the platform can live up to its claims. While Steemit and other platforms have achieved success through using EOS technology, there are no guarantees that EOS will work as advertised when it finally becomes available to the public. Having said this, EOS has the potential to become one of the leading cryptocurrencies on world markets. Its unique niche of offering content creation and delivery services that can’t be censored by governments or corporations sets it apart from its competition, and its pledge to eliminate transaction fees and speed up usage have plenty of appeal to all crypto users. Because of this, EOS is worth keeping an eye on for both smart contract enthusiasts and traditional investors alike. No other major platform is doing what it is doing. 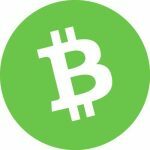 Bitcoin Cash (BCC) is a cryptocurrency that offers scalability, flexibility, and lower fees compared to Bitcoin, its parent cryptocurrency. Bitcoin Cash is an ideal cryptocurrency for users who value speed and efficiency above all else. Bitcoin Cash was established on August 1, 2017 as the result of a hard fork in Bitcoin’s blockchain. For years, Bitcoin users were divided on the issue of Bitcoin’s scalability and how to make the cryptocurrency accessible to more users. However, due to the technical complexity that increasing the block size limit would entail, the change was never implemented, and the Bitcoin community was torn over how to proceed. Mining Bitcoin Cash is not as popular as mining Bitcoin due to the former’s relative newness. Despite this, mining Bitcoin Cash can be a profitable enterprise, and is likely to gain in popularity as the currency itself becomes more widespread. 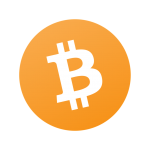 Bitcoin Cash is a cryptocurrency ideal for users who are looking for speed, low costs, and reliability. Its greater transaction speed compared to Bitcoin has made it a viable alternative for vendors and businesses who want to increase their profits. Additionally, Bitcoin Cash’s lower transaction fees also make using the currency less expensive, making it more accessible to lower-income users. Bitcoin Cash’s growing popularity among vendors who already use Bitcoin have made it a good cryptocurrency for shopping and other basic business transactions. Miners will also appreciate Bitcoin Cash’s profit potential, and the fact that Bitcoin Cash is compatible with preexisting Bitcoin mining rigs makes it all the easier to start profiting from mining it. Ultimately, Bitcoin Cash is a reliable cryptocurrency, one that is certain to grow in popularity and value in the future due to its improvements over Bitcoin. Ripple (XRP), also known as the Ripple Transaction Protocol, is a cryptocurrency and real-time gross settlement system designed to make financial transactions simpler and easier. Ripple is an effective and worthwhile investment for anyone looking for an all-in-one cryptocurrency and payment processing system. Due to its use by many banks and financial institutions, Ripple brings a level of security, stability and trustworthiness that few cryptocurrencies can match, making it a popular option for investors and traders. Unlike most cryptocurrencies, Ripple cannot be mined due to its unique design. 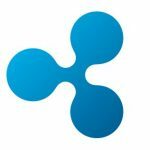 The inability to mine Ripple has limited its use and growth to a certain extent. It is unknown if Ripple’s designers plan to allow mining or to issue new XRP in the future. Ripple is a cryptocurrency that offers a suite of security and convenience features that few if any other cryptocurrencies possess. Its consensus-based transaction system frees it from reliance on miners and gives it a stability when it comes to sending or receiving money. Additionally, Ripple’s compatibility with mainstream fiat currencies gives it a flexibility that most cryptocurrencies lack. The sheer number of financial institutions using Ripple for their transactions has further buttressed its reliability. Because mining Ripple is impossible, the currency may turn off some cryptocurrency users who are looking to make money with minimal effort. However, those who are looking for a reliable cryptocurrency and transaction system built into a single package will definitely want to check Ripple out. Bitcoin (BTC) is a cryptocurrency and worldwide payment system, the first cryptocurrency to be invented and released to the public. While newer cryptocurrencies have improved on Bitcoin’s basic design, Bitcoin remains the world’s leading cryptocurrency and an important part of any investor’s portfolio. Additionally, Bitcoin now faces competition from numerous other cryptocurrencies such as Ethereum, Litecoin, and Dash, which have significantly cut into its market share. Many of these altcoins boast improvements over the basic Bitcoin design. Despite this, Bitcoin’s longevity and reliability have established it as a force in the cryptocurrency markets, and one that is here to stay. Bitcoin can be “mined,” a process that allows users to make money and also facilitate transactions on the network. With these caveats out of the way, Bitcoin mining can still be a profitable enterprise. As the oldest and most recognized cryptocurrency, Bitcoin played an integral role in shaping the current cryptocurrency scene and revolutionizing money. While it has its flaws and is not as technologically advanced as some of its newer competitors, Bitcoin’s stability and popularity with traders and businesses make it a strong player on the cryptocurrency markets.